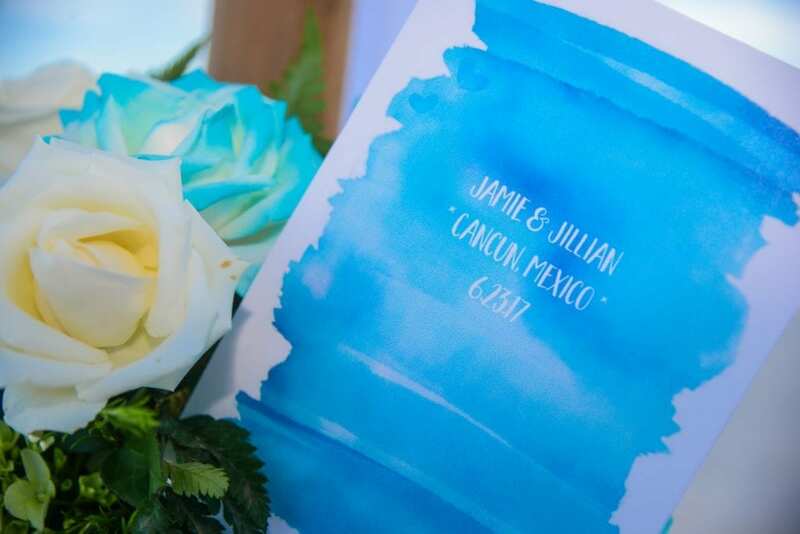 On June 23rd, 2017, Jamie and Jill exchanged vows on the picturesque beach of Hyatt Ziva Cancun in Mexico. 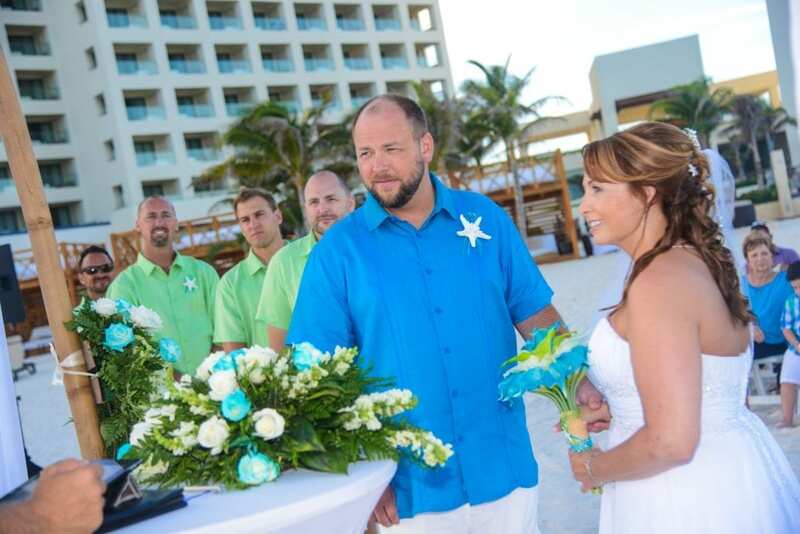 Their beach wedding theme incorporated pops of bright turquoise, lime green, and nautical accents to make sure their guests didn’t forget that they were in sunny Cancun! 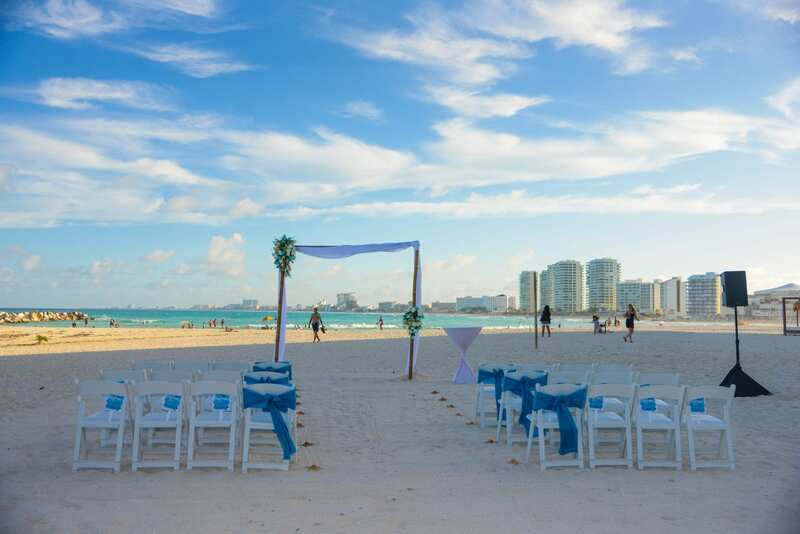 The beachfront and all-inclusive Hyatt Ziva Cancun is located a short 25 minute transfer from the Cancun International airport. 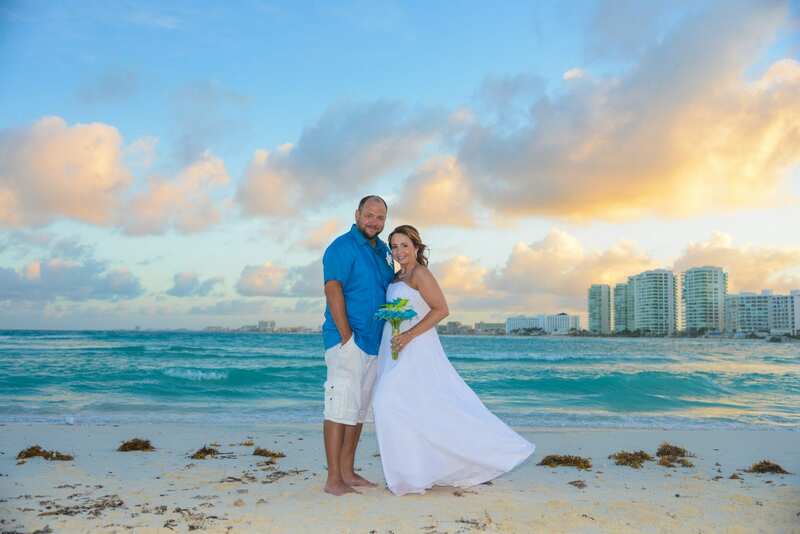 Perfect for destination weddings and group gatherings of age ranges, this property boasts all of the amenities for family-friendly fun, along with the adults-only Turquoise Tower which offers spacious suites, exclusive service, and a rooftop infinity pool. Jamie and I both grew up in Council Bluffs, Iowa. We went to the same grade school, junior high, and high school, while he also lived three blocks from my grandma’s house. Funny enough, we never really talked (even though we had some of the same friends). Fast forward 20 years later, a good friend of ours suggested we go out. We went on our first date and the rest was history! 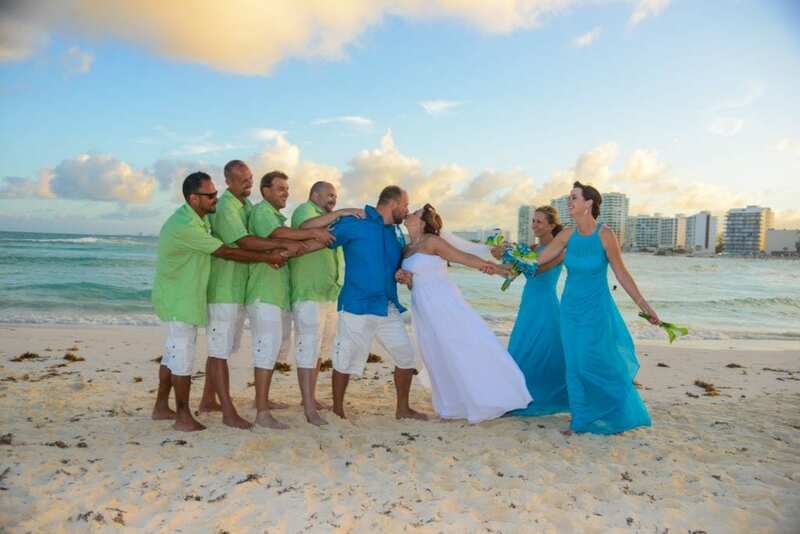 Whenever the subject of marriage came up, we both said we wanted to get married on a beach. That’s exactly what we did! It was so amazing and beautiful. 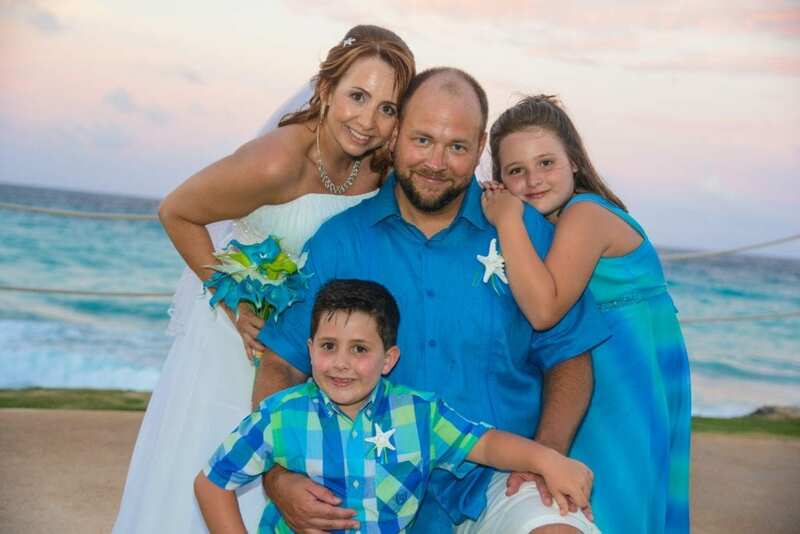 We couldn’t be happier with the way the wedding and our life together has turned out! 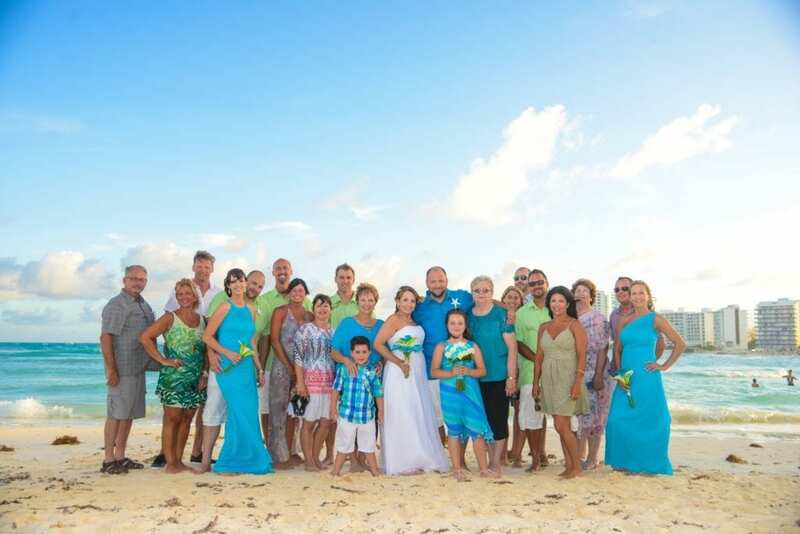 The hotel is surrounded by beautiful turquoise ocean on three sides! The service was great and the sweet shop was a favorite of everyone’s (amazing desserts and gelato were part of the all-inclusive). Our wedding cake was much larger than described, it was 8″ thick and probably 15″ diameter! We picked Mocha and White Chocolate Brownie with Bourbon Whiskey Cream. The service of the hotel staff was excellent. They will steam the bride’s dress, bridesmaid’s dresses, and grooms/groomsmen shirts. The wedding staff put out my decorations that I brought with me, cleaned them up after the reception, put them in a bag, and delivered them to my room the next morning. That was great! I had previously arranged for guests to do it and was happy they didn’t end up having to. The upgrade to the Turquoise Tower was very nice. Our Photopro photographer was Jessica, who did a wonderful job. We liked her pictures so much that we did end up buying more than what was included in our package! Walking down the aisle of course! The romantic dinner by the ocean was pretty beautiful too! 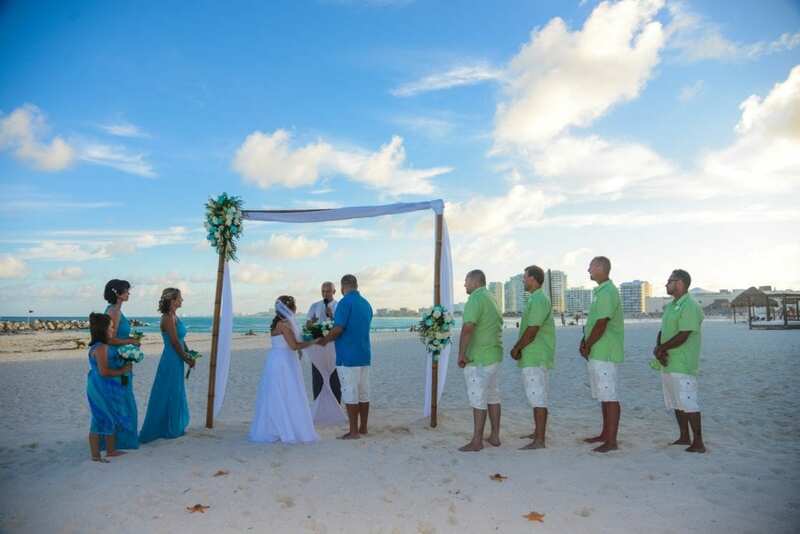 Dreaming of planning your own beach wedding but no clue where to get started? 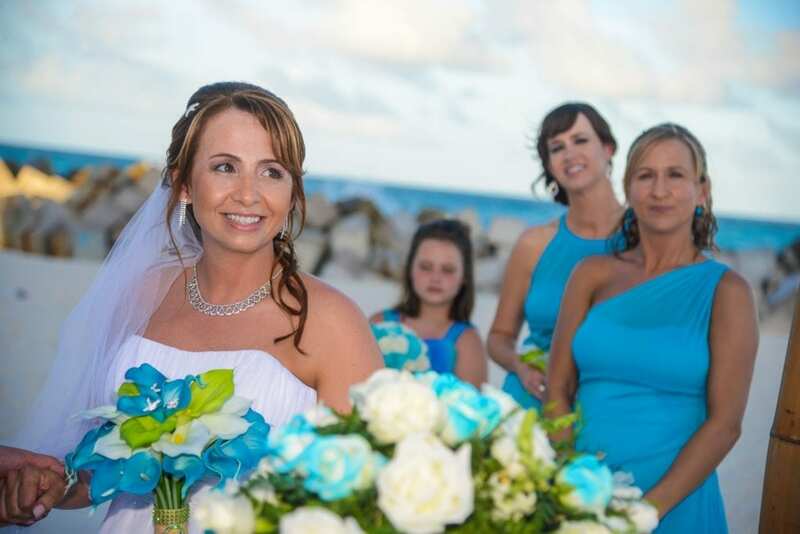 At Enchanted Honeymoons Travel, we plan hundreds of destination weddings every year. 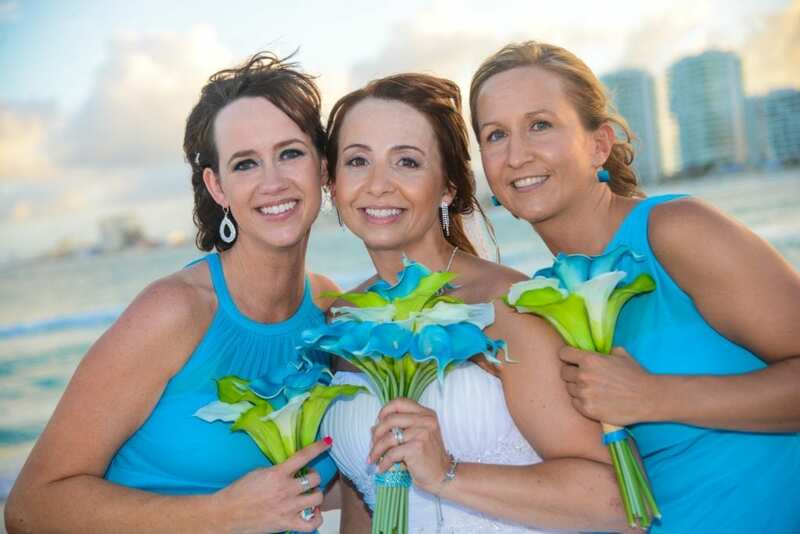 With travel agents who specialize in exactly where you’re looking to go, the planning process is seamless and carefree. 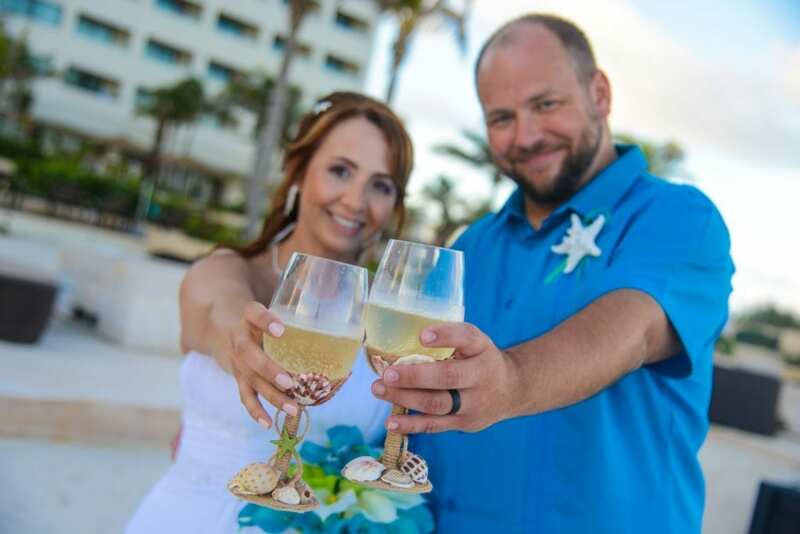 Call us today at 402-281-3022 to learn more about how we can bring your dream day to life.